Sometimes you need a bigger vehicle to get a job done, whether that job is coordinating the next work happy hour or simply getting your family around the Lee’s Summit and North Town, Missouri areas. 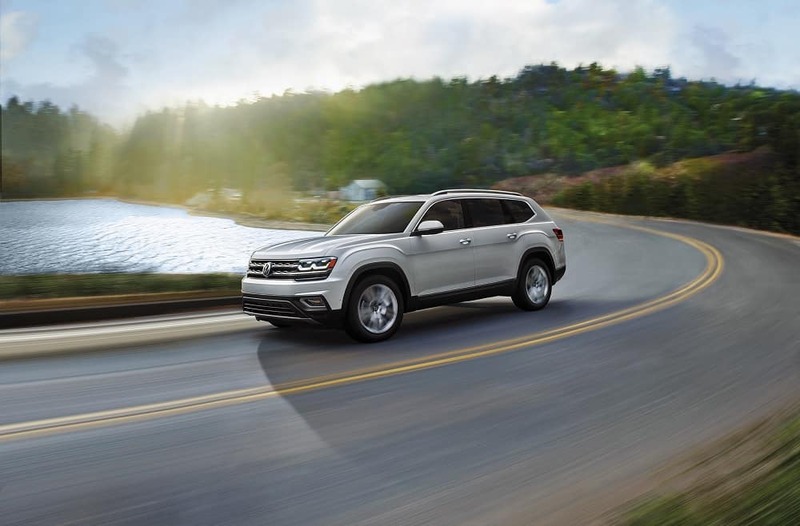 The all-new Volkswagen Atlas offers several different options for drivers in the Overland Park, Mission, and Olathe, Kansas areas. 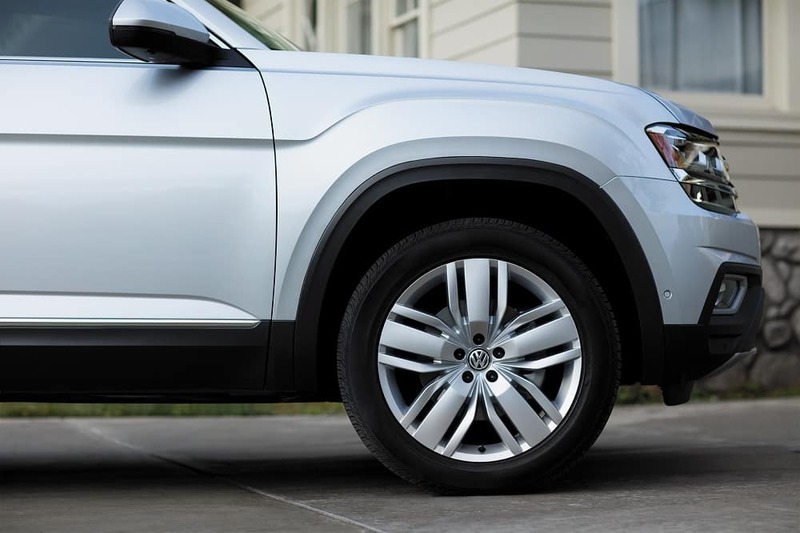 At Volkswagen Lee’s Summit, we want to provide an easy guide on which Volkswagen Atlas trim level would be best for your needs. Whatever your driving needs are, there’s a perfect fit available for you. The Volkswagen Atlas S is the first tier for the Atlas and offers a peppy 2.0L inline turbo 4-cylinder engine that pumps out an admirable 235 horsepower and offers an incredible EPA-estimated* 22 mpg in the city and 26 on the highway, so there’s more focus on what’s ahead than stopping for gas. The S V6 offers similar appointments to the S, but has a different engine size. Equipped with a 3.6L V6 engine, drivers will have 276 horsepower and an EPA-estimated* 25 miles per gallon to play with on their next road trip. The 4-Motion model offers drivers the convenience and safety of an all-wheel drive vehicle, thus allowing for better peace of mind when traveling with life’s most precious cargo; your family. The Launch Edition of the 2018 Atlas has every the S has and more, including the addition of an incredible panoramic sunroof so you never have to miss out on a minute of the world passing around you. 4-Motion® adds the safety and security of all wheel drive to this incredible vehicle, making inclement weather driving a snap. The SE trim package takes everything that was great about the the previous versions and adds in 4 USB ports, making charging all of your devices easier than its ever been. The SE also offers blind spot monitoring and rear traffic alert systems, making the Atlas better able to assist in the prevention of collisions. By choosing the technology package with your SE, drivers are treated to three zone climate control, allowing for the people in the third row to set their own comfort level. Cool additions like rain sensing wipers and heated mirrors also round out the convenience features added to the Atlas to make your driving experience on cold and rainy days much more enjoyable. By adding 10 way power front seats to the SEL package, achieving the most comfortable driving position possible is a snap in the 2018 Volkswagen Atlas. From lumbar support to the perfectly reclined position, the captain’s seat of your vehicle is at your complete control. As the highest-level package available, the SEL Premium Atlas gives drivers access to a digital information center that measures over 12 inches and presents all pertinent information in a gorgeous high-resolution display using the Volkwagen Digital Cockpit. As an extended feature of the Digital Cockpit, profile setup allows Atlas drivers to save their preferences to meet their needs and never have to readjust after someone else drives. From the premium speakers to the color touchscreen, this system puts you in complete control of your needs. Don’t Wait. Come See Us Today! Don’t allow another day to go by in Overland Park, Olathe, or Mission Kansas that you’re not driving the perfect vehicle for your life. At Volkswagen Lee’s Summit, we want to help drivers in Lee’s Summit and North Town get behind the wheel of the Volkswagen Atlas trim level they want and need, so come see us today!